As a premier moving and storage company since 1994, thousands of customers have relied on Air-Land-Sea Van Lines to provide them with flexible, affordable storage in Atlanta that they can depend on. Whether you want to free-up some extra space in your garage or you need storage during an office move, we have the space and expertise to meet all of your commercial and household storage needs. Our trained and certified storage experts are committed to your satisfaction. We strive to provide you with the storage services you want and expect for your important belongings. With over 155,000 square feet of monitored and protected space, we can securely store virtually any amount of your residential or commercial belongings. Our expansive facility is equipped with both fire- and theft-protection systems to ensure your valuables will remain untouched for as long as you choose to store them with us. 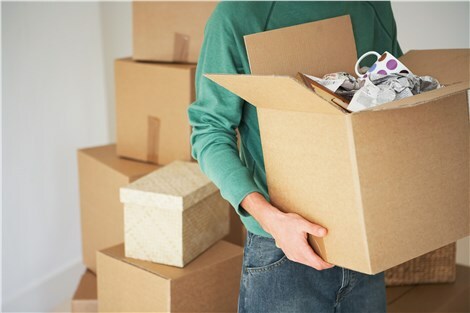 Household Storage: We have the storage space to accommodate all of your household belongings. Commercial Storage: Whether you're interested in office storage or warehousing solutions, ALS Van Lines offers quality services at competitive prices -- guaranteed! Call ALS Van Lines to speak with a knowledgeable Customer Support Specialist about the comprehensive, flexible storage services we offer. Don't forget to also fill out the free quote form above for an accurate, no-obligation estimate today!